The Driver and Vehicle Standards Agency (DVSA) announced seven recalls for passenger cars in September 2016 – which is an atypically small number. Models affected include the Ford Fiesta, over possible fire concerns, the Mercedes-Benz C-Class over fuel leak concerns and the 2010 Toyota Prius, due to potential airbag problems. As always, owners of recalled cars will be contacted and asked to make an appointment at their local dealer, where work will be undertaken free of charge. 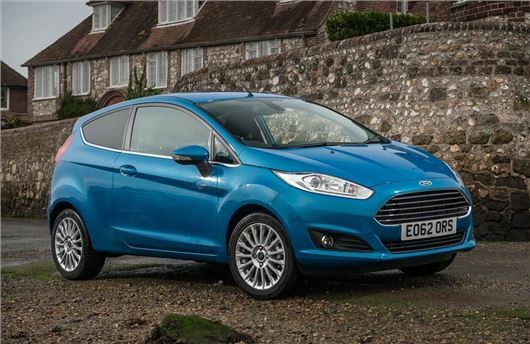 The Ford Fiesta recall affects a large number of cars – 41,355, specifically – built from early 2012 to late August 2013. On affected cars, the glow plug control module may overheat if exposed to water, possibly resulting in a fire. Recalled cars will have the glow plug control module replaced. Fuel lines on 3592 Mercedes-Benz C-Class models, made from December 2013 through to April 2016, need to be replaced over a possible fuel leak. Furthermore, 3330 GLA, CLA and A-Class models need to be recalled to check for a faulty weld on the dual clutch transmission, which can result in stalling or limp mode activating. Some Fiat and Abarth 500 models need their seats checking, since they “may not perform as expected during a collision.” 10,511 older Jeep Cherokee and Commander models, made between 2005 and 2007, may have a fault that causes the ignition to change position, resulting in loss of engine power and power assisted systems. There are two separate Toyota recalls. 72,885 Prius, Auris and Lexus CT 200h models built from mid-2006 through to August 2012, need checking because in rare circumstances there may be a fuel leak resulting in a fire. Also, 34,135 Prius and Lexus CT 200h models may have a faulty weld which could cause curtain airbags to deploy unintentionally. The table below features details of passenger car recalls announced in September. Motorcycle and commercial vehicle recalls have been omitted, but can be found on the DVSA website. Click the entries for more information on each.